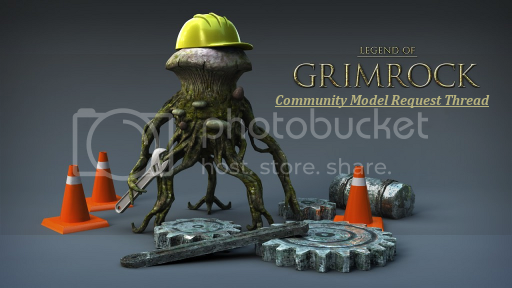 Hello everyone, and welcome to the Grimrock Modding Forum Community's Model Request Thread. In this thread you will find requests for models to be created. If you are a Modeler, feel free to pick a request and create it! You can post a download link to the finished product here. This is a great place for those just learning modeling to practice making something specific! If you are a Requester, just go ahead and reply to this topic with your request. If you need something quite specific, your request will be added to the Specific Request Sheet. Free standing bookshelf. (Blockage or altar) Contact GrimFan for details. Door to outside. (A chance to see the light of day again) Contact LunasC for details. Fencing Equipment (Weapons and Armor) Contact LunasC for details. Last edited by Neikun on Sat Mar 30, 2013 2:23 am, edited 73 times in total. candles ? windows ? paintings ? just gotta day's that's one of the coolest thread title graphics I've ever seen! Thanks, I modified one of the devblog's images when they were doing compatibility testing. I'll claim desk. Is just a .model with a placeholder texture okay? Now that I understand how do do such things, workflow is much faster. Good to see! I'm sure one of us in the community can get a good texture on it. I am the God of darkness and corruption. Breath from the unpromising waters. 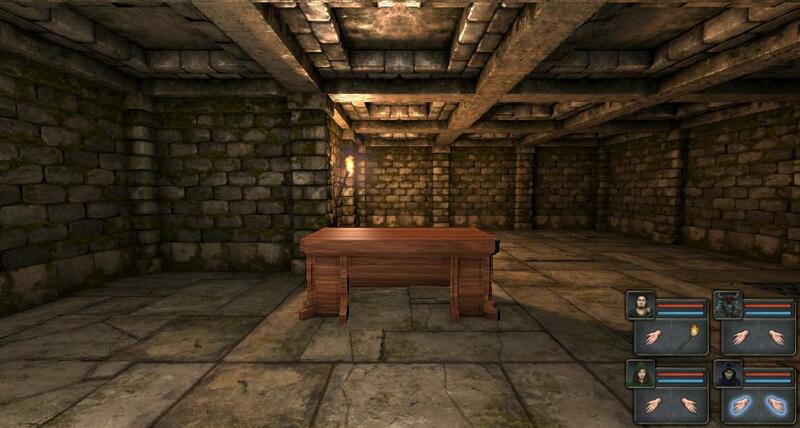 Okay, desk is finished, UV-map is applied and there is no unseemly stretching. Texture doesn't really do it justice, but check it out. Where should I upload to? Guys what I really need is some kind of glass-wall. Means normal wall, just that you can see trough it. Somebody interested ?